(P1) An expert thinks she has unlocked the secret of what dogs dream about. A psychologist at Harvard Medical School did research into dog dreams. She concluded that dogs dream about their owners. She also said dog dreams were similar to those humans have: “Humans dream about the same things they’re interested in by day. There’s no reason to think animals are any different. It’s likely your dog is dreaming of your face, your smell, and of pleasing or annoying you.” The psychologist advised pet owners to give their pets “happy daytime experiences” so they have nice dreams. (P2) The psychologist said there is no way of knowing what dogs see in their dreams. Research isn’t close to solving that mystery with human dreams. The research is based on the fact that dogs have a sleep cycle like the human cycle. This includes a period of activity called REM (Rapid Eye Movement). This is the part of sleeping when humans dream. The psychologist said: “That certainly makes it the best guess that other mammals are dreaming too.” Dogs may also move about while they are asleep because they are acting out their dreams. Their legs move in a running motion in their sleep. 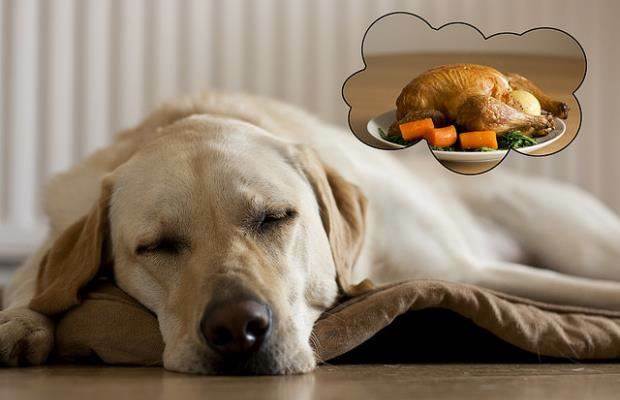 In your opinion, do you think dogs dream similar to humans? Why or why not? Have you ever had a nightmare? If so, describe it. Are you a dog owner? Why or why not? What institution does the researcher work for? What happens to the legs of dogs during their dreams? Hi , I am not sure about dog’s dream are similar like humans, but dog’s will closely monitor the behavior of a person and their family, the best example we do have dog in our house named as “Ghushi “and My family members will be fasting on every Thursday and Friday we break , every Thursday we will feed our dog but it will not eat, forcibly we tried to make dog eat and the results were Negative,and Friday dog will also break the fasting like us.